Blush Kids Luxury Couture newest addition of the Glitz Collection comes features a stunning selection of beautiful communion dresses that will create memories that you will treasure for a lifetime. Moms, get ready because not only are these dresses affordable but she would love every one of these gorgeous dresses. Each of these timely communion dresses are made with intricate beading and stones that sparkles pretty much what every young lady would love. 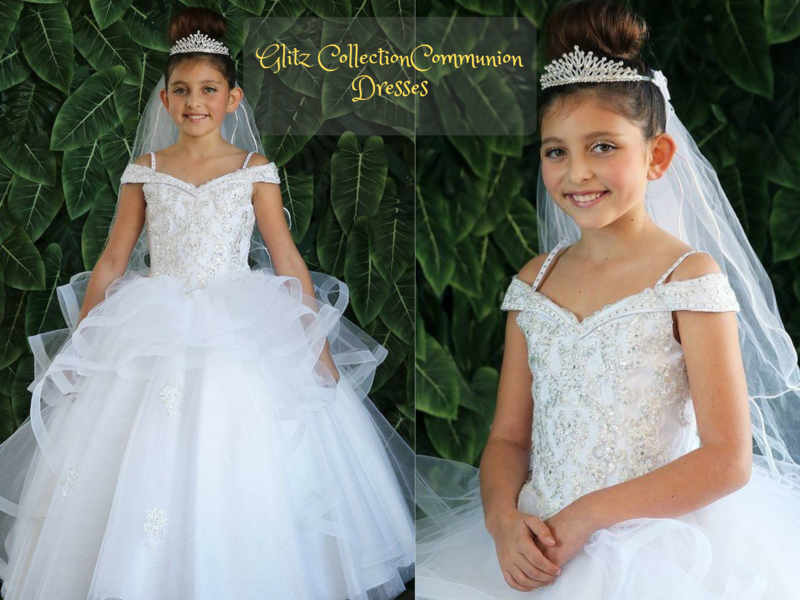 In our beautiful Glitz Collection of communion dresses you would also have the option of getting these dresses in other beautiful colors which means that you can use these dresses for your girls pageant or any special occasion. The choices are simply endless! Here at Blush Kids Luxury Couture we value our customers and we know how stressful it can get sometimes shopping for your child's special event. That's why we have gone ahead and provided this beautiful collection of communion dresses for your young ladies. Don't forget to accessorize! So, be sure to check out our Accessories Section of our website so that you can make your child's special occasion one to be treasured and remembered for many, many more years to come. Our highly trained customer support staff will answer any questions you may have during the course of your shopping online with us, so be sure to email us with any concerns you may have.